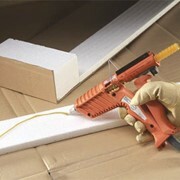 Harry Daines has a wide range of spray adhesive products that at only one touch of a finger bonds and handles a variety of jobs you may have. 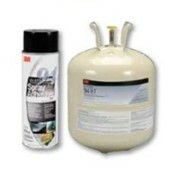 Adhesive bonds flexible urethane or latex foam together or to wood, metal and many plastics.General upholstery foam bonding, to bond small foam shapes by knife edge bonding, boxing and edge turning. For Permanent mounting. Adhesive bonds many lightweight materials Paper, Cardboard, acetate, foil, fabrics, and plastic sheeting.Will not bleed through, stain or wrinkle most materials.Adheres is seconds, Yet has an extra-long tack range that allows you to reposition meterials. 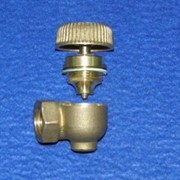 For Repositionable mounting. 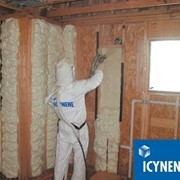 Bonds many hard to hold materials such as polyethylene and polypropylene. Also bonds SBR rubber, Fabric, Felt, Cardboard, <?xml:namespace prefix = st1 ns = "urn:schemas-microsoft-com:office:smarttags" />Cork, Foil and plastics to themselves and to wood, metal and glass. Eg. Door skins, Aircraft interiors, Swimming pool liners, Pool table fabrics. 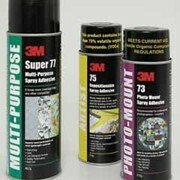 Quick tack adhesive is the strongest one surface aerosol adhesive in our line. For Permanent bond. Excellent for jobs in display and furniture - it bonds thin decorative film, Foils and fabrics. 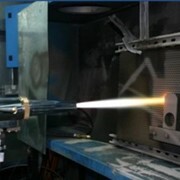 Bond gaskets in water pumps, and attaches insulation to sheet metal. High coverage, Fast, Aggressive tack, and a long bonding range. 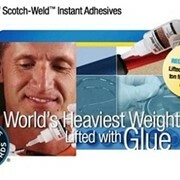 Very versatile adhesive. For Permanent bond. 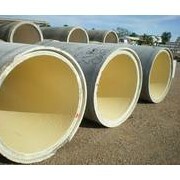 Can be used for all types of rubber bonding except EPDM. Adheres stainless steel panels, stiffeners, metal kick plates and most plastics, laminates and wood products. 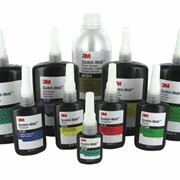 Fast drying and fast bonding, a durable, high strength adhesive. Also spays right where you want it- up to the edge, not over. For Permanent bond. 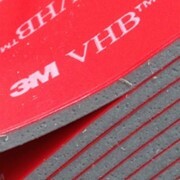 Great adhesive for particle board, polyethylene, polypropylene and SBR rubber. Bonds decorative laminates to tables, cabinets, and shelving, kick plates to desks, and plastic sign lettering to wood. 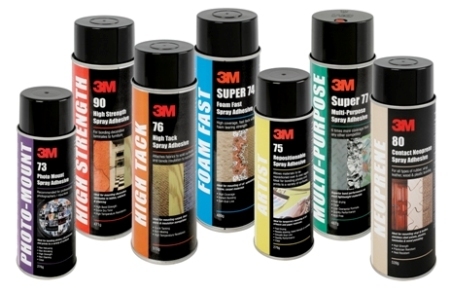 Excellent for many decorative laminates because it dries in 1 to 2 minutes. 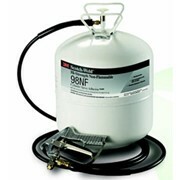 It has a variable spray width and precise spray control lets you spray adhesive where you want it. For Permanent bond. With a foundation of 38 years, Harry Daines Pty Ltd is a market leader & trusted name in industrial distribution. 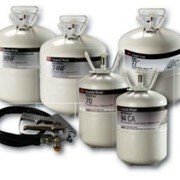 Harry Daines Pty Ltd is a Sydney based distributor of industrial consumable products & machinery. Our range of products include packaging tapes, double sided tapes, speciality tapes, adhesives, abrasives, protective packaging, Void fill, O.H.&E.S, matting, scourers, washroom products, strapping & packaging machinery. 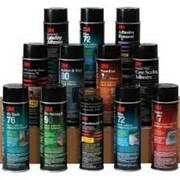 The brands that we distribute include 3M, Tesa, Husky, Polycell, Amcor, Bostik, Kimberly- Clark & Deb. 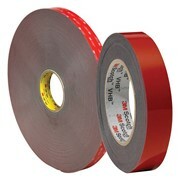 Our onsite slitting facilities provide clients with the flexibility of accessing custom width tapes. This extends to converted products which include tapes die cut to different shapes, customized to suit your specialised application. Further more our engineering service has been developed to support your end of line packaging requirements. This service includes tailored site maintenance programs, packaging line productivity surveys, packaging line automation design & project management for packaging development programs. Our employees are trained as an ongoing process to ensure the best possible & up to date information is provided to our clients. To meet our clients specialised requirements, we offer you market focused representatives from within our company & principal suppliers. Mention IndustrySearch so Harry Daines can best assist you! Get a callback from an expert at Harry Daines to help answer your questions.